Keep this guide handy when reading with your child. 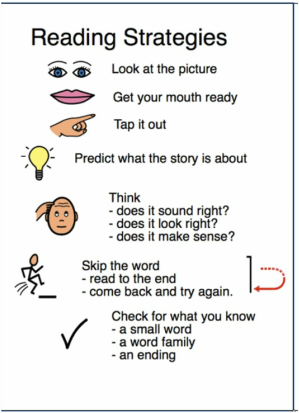 Use it to remind him/her of strategies strong readers use when they come to tricky or unfamiliar words. Readers figure out words by reading through the whole word and noticing the end of a word. Readers look for “anchor” words they know on the page because words we know give us a head start and can help us with other words on the page. Readers also notice when a book has a pattern and use that pattern to help them figure out a word that may come next. Readers check for what they already know. This may be a glued sound, a digraph, or a word “chunk”. Readers can skip over a tricky word and read on to find out more information that might help them, but they always go back and do some word work to figure out the word. Then they reread the whole sentence again. 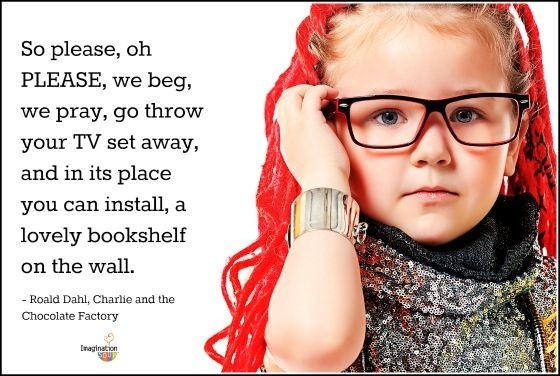 Readers are brave when they come to words they don’t know. They try all the strategies they know to make sense of the word in the story. They cross-reference by using more than one strategy. We know it’s difficult to let your child problem solve an unfamiliar word. Sometimes the wait time can be unbearable, but resist the urge to tell them the word or the sound. You may prompt them with strategies, but allowing them to work through a word on their own holds them accountable and helps them feel successful. Happy Reading!